As of July 22nd, General Motors has recalled 27 million cars, trucks and SUV’s in 2014. The number of cars recalled has surpassed the number of vehicles GM sold in the past five years. 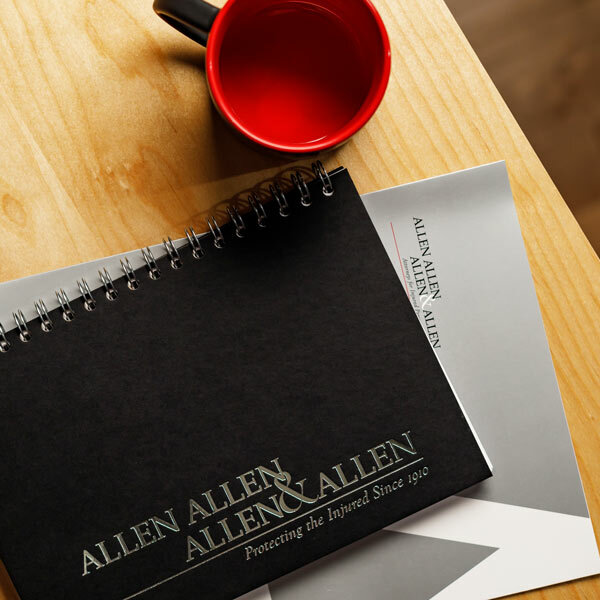 Allen & Allen is currently investigating claims for people who were injured or killed in accidents involving GM vehicles that were recently recalled. If you or a loved one were injured in an accident involving one of those vehicles, please contact us today for a free consultation at 866-388-1307. Issue: A part can break off the power-adjustable seats. If that happens, the seat height can’t be locked into place. Models: 2011-2012 Chevrolet Camaro; 2010-2012 Chevrolet Equinox and GMC Terrain; 2011-2012 Buick Regal and LaCrosse; and 2010-2012 Cadillac SRX. Issue: Seats may not be properly attached due to improper welding. Models: 2014 Chevrolet Caprice and SS; 2014-2015 Chevrolet Silverado LD and HD; 2013-2014 Cadillac ATS; 2014 Cadillac CTS and ELR; 2013-2014 Buick Encore; and 2014-2015 GMC Sierra LD and HD. Issue:An electrical issue could cause the power steering to malfunction when the vehicle is started. Issue: Incorrect nuts may have been used to attach the roof carrier. Models:2015 Chevrolet Tahoe and Suburban and GMC Yukon and Yukon Denali. Issue: Driver is not warned when one bulb in a turn signal burns out. This warning would give drivers time to have the bulb replaced before the second bulb burns out. Models: 2011-2013 Buick Regal and 2013 Chevrolet Malibu. Issue: Loose bolts in the front suspension could cause the loss of steering. Issue: Key can be bumped out of run position while driving. Models: 1997-2005 Chevrolet Malibu; 1998-2002 Oldsmobile Intrique; 1999-2004 Oldsmobile Alero; 1999-2005 Pontiac Grand Am; 2000-2005 Chevrolet Impala and Monte Carlo; 2004-2008 Pontiac Grand Prix. Models: 2003-2013 Cadillac CTS; some models of the 2014 Cadillac CTS; and 2004-2006 Cadillac SRX. Issue: Engine block heater power cord insulation can be damaged in cold weather. Models: 2011-2014 Chevrolet Cruze; 2012-2014 Chevrolet Sonic; and 2013-2014 Chevrolet Trax and Buick Encore. and Verano. Issue: An important fastener known as the “superhold” may not be properly tightened. Models: 2014 Chevrolet Camaro and Impala, Buick Regal and Cadillac XTS. Issue: The electrical system in vehicles equipped with an auxiliary battery may overheat and cause a fire. Models: 2007-2011 Chevrolet Silverado HD and GMC Sierra HD. Issue: An electrical short can disable the power door lock and window switches. Models: 2005-2007 Buick Rainier, Chevrolet TrailBlazer, GMC Envoy, Isuzu Ascender and Saab 9-7x; 2006 Chevrolet TrailBlazer EXT and GMC Envoy XL. Issue: Floor mats are unsecured and can slide out of position. Models: 2014-2015 Chevrolet Silverado and GMC Sierra. Issue: Passenger seat side air bag may not deploy properly. Models: Some 2014 Chevrolet Corvette with Competition Sport Seats. Issue: Gasket leak can lead to unintended roof rail air bag deployment. Models: 2011 Cadillac AWD CTS. Issue: Hose failure can cause loss of power steering and braking. Models: 2015 Chevrolet Silverado 2500 and 3500 HD, 2015 GMC Sierra 2500, 2015 GMC Sierra 3500 HD. Issue: Shift cable can disconnect and driver may be unable to shift gears. Models: 2013-2014 Cadillac ATS and 2014 Cadillac CTS. Issue: Ignition switch flaw can cause vehicle to shut off unexpectedly, disabling safety features and power steering and braking. Models: 2005-2009 Buick Lacrosse; 2006-2014 Chevrolet Impala; 2000-2005 Cadillac Deville; 2007-2011 Cadillac DTS; 2006-2011 Buick Lucerne; 2005 Buick Regal LS and GS; 2006-2007 Chevy Monte Carlo. Issue: Key can be bumped out of run position while driving. GM says this is unrelated to ignition switch issues with other vehicles. Issue: Wiring that connects electrical features in the driver’s side door, including windows and door warning chime, can corrode and malfunction. Issue: Transmission turbine shaft can fracture, leaving vehicle unable to shift into higher gears. Issue: Seat belt tensioner could break and may not provide restraint in case of a crash. Models: 2004-2011 Saab 9-3 Convertible. Issue: Headlight switch can overheat and cause a fire. Models: 2004-2008 Suzuki Forenza, 2005-2008 Suzuki Reno. Models: 2004-2008 Chevrolet Aveo, 2005-2008 Pontiac Wave and G3. Issue: Transmission cable can disconnect, causing the vehicle to roll away. Models: 2004-2008 Chevrolet Malibu, 2005-2008 Pontiac G6. Issue: Seatbelt cable can wear out and may not provide restraint in case of a crash. Models: 2009-2010 Saturn Outlook, 2009-2014 Chevrolet Traverse, GMC Acadia and Buick Enclave. Issue: Part of the electrical system can disconnect from the vehicle and cause a fire. Models: 2015 Chevrolet Silverado HD and GMC Sierra HD. Issue: Improperly installed passenger airbag could cause the airbag to only partially deploy in a crash. Issue: Wiring flaw can cause the low-beam headlights to fail to illuminate. Issue: Windshield wipers may fail, leaving the driver unable to see and more likely to crash. Issue: Wiring flaw can cause brake lights to fail, and disable other safety features. Models: 2004-2012 Chevrolet Malibu, 2004-2007 Chevrolet Malibu Maxx, 2005-2007 Pontiac G6, 2007-2010 Saturn Aura. Issue: Hydraulic braking can malfunction, requiring additional braking effort and a longer distance to stop the vehicle. Issue: Steering system’s tie rod end can disconnect, leaving the driver unable to steer. Models: 2014 Chevrolet Silverado and GMC Sierra Light Duty; 2015 Chevrolet Tahoe. Issue: Vehicle brake rotors can detach, limiting braking capacity. Models: 2014 Chevrolet Malibu and Buick LaCrosse. Issue: Fuel gauge may be inaccurate by as much as a quarter tank, so the vehicle can unexpectedly run out of fuel. Models: 2014 Chevrolet Traverse, GMC Acadia and Buick Enclave. Issue: A programming error can cause a three to four second delay in acceleration. Issue: Fuel pipes may be improperly connected, which can cause a fire. Issue: A part manufactured and recalled by Toyota was used in some Vibe steering columns and could cause the airbag to disconnect and fail to deploy. Issue: Ignition cylinder flaw can cause the key to unexpectedly fall out. Models: 2005-2010 Chevrolet Cobalt, 2006-2011 Chevrolet HHR, 2003-2010 Pontiac G5, 2006-2010 Pontiac Solstice, 2003-2007 Saturn ION, 2007-2010 Saturn Sky. Issue: Unexpected loss of power steering can lead to a crash. Models: 2004-2006 Chevrolet Malibu, Malibu Maxx and Pontiac G6; 2004-2007 Saturn ION; 2008-2009 Chevrolet Malibu, Pontiac G6 and Saturn Aura; 2010 Chevrolet Cobalt; 2009-2010 Chevrolet HHR. Issue: Electronic stability control, which reduces the risk of rollover crashes, can turn off without warning. Issue: Ignition switch recall expanded to additional vehicles. Models:2008-2011 Chevrolet HHR; 2008-2010 Chevrolet Cobalt, Pontiac G5 and Solstice, Saturn Sky and Opel GT; 2008-2009 Daewoo G2X. Issue: Axle half shaft can fracture, cutting off power to one of the wheels. Models: Some 2013-2014 Chevrolet Cruze. Issue: An improperly sealed transmission line can leak, causing a fire risk. Models: Some 2014 Chevrolet Sierra and Silverado; 2015 Chevrolet Suburban and Tahoe, GMC Yukon and Yukon XL. Issue: Brake system part can dislodge, potentially triggering corrosion, a short circuit and fire. Issue: Dashboard design can increase the risk of injury in some crashes. Models: 2009-2014 Chevrolet Express and GMC Savana. Issue: Design flaw can cause the side-impact air bag and seat belt restraint to malfunction in a crash. Models: 2008-2013 Buick Enclave, Chevrolet Traverse, GMC Acadia, Saturn Outlook. Issue: Ignition switch flaw can cause the vehicle to shut off unexpectedly, disabling safety features and power steering and braking. Models: 2005-2007 Chevrolet Cobalt, Pontiac G5 and Pursuit; 2003-2007 Saturn ION; 2006-2007 Chevrolet HHR; 2006-2007 Pontiac Solstice; 2007 Saturn Sky, Open/Vauxhall GT, Daewoo G2X. Issue: Transmission cable can disconnect from the shift lever and the vehicle can roll away. Models: 2014 Buick Enclave, LaCrosse, Regal and Verano; Chevrolet Cruze, Impala, Malibu and Traverse; GMC Acadia. Issue: Fuel line connector can leak and increase fire risk. Models: 2014 Chevrolet Trax and Tracker. Issue: Exhaust components can overheat and cause a fire. Models: 2014 Chevrolet Silverado and GMC Sierra full-size pickups.